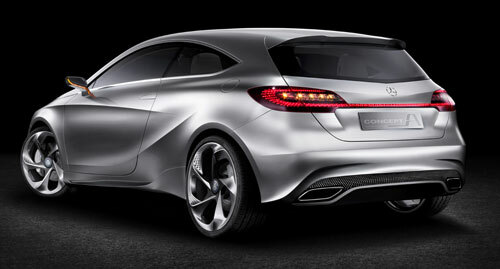 Mercedes-Benz Concept A-Class to be unveiled in Shanghai! 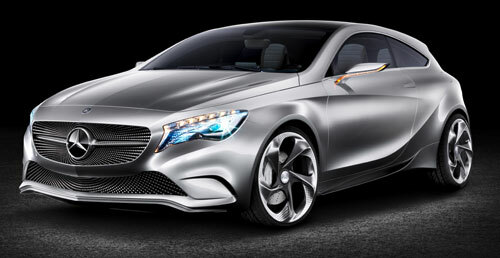 Home » Cars » Concept Cars » Mercedes-Benz Concept A-Class to be unveiled in Shanghai! Mercedes-Benz will preview the next generation A-Class at Auto Shanghai 2011 later this month as the new Concept A-Class. Like the previous generation, the new A-Class is a front-wheel drive car with a transverse engine. The engine installed in the Concept A-Class is a new M270 series transverse installation engine, with 2.0 litres of displacement, replacing the M266 installed in the last generation A-Class and B-Class. It is direct injected and turbocharged, making 210 horsepower in the concept car. Power is transmitted to the two front wheels via a new Mercedes-Benz dual clutch transmission. The Concept A-Class also features a driver assistance system called Collision Prevention Assist, which gives visual and acoustic warnings to a possibly inattentive driver if the car’s collision radar detects that the car is about to hit the rear end of the car in front. It also primes the Brake Assist system for better brake response. Look after the jump for a full gallery of the concept.